Waldorf preschool isn’t just two hours of playtime, three days a week. It’s an education preparing young children with the mathematic and scientific concepts they will rely on throughout their education. 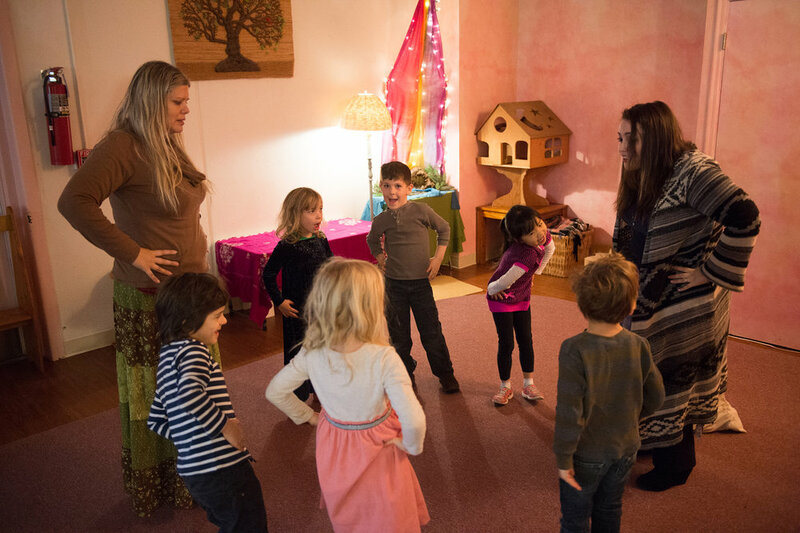 Waldorf early childhood programs are full of beauty— a truly peaceful environment for children — but underneath everything you see on the surface, Rudolf Steiner developed fundamental characteristics that lay a solid foundation for future learning. Steiner fully intended for his education approach to uphold the dignity of childhood by understanding human development and taking into consideration age-specific developmental needs. Children enjoy time in a circle while learning in their early childhood classroom. The gentle leadership of early childhood teachers will guide these dear children into a love of learning from an early age. While children are playing, math is all around them. Counting. Classifying. Measuring. Identifying patterns. It may seem hard to believe, but each of these play-related activities is preparing children for learning basic math skills, fractions, pre-algebra and even geometry. One of the most important lessons children are learning at this stage is one-to-one correspondence—the concept of one shoe goes on one foot and one napkin on one placemat. The early childhood education designed by Steiner gives each of these mathematic skills a prominent place in daily activities, and early childhood teachers work to develop these skills in the children. BUT THEY REALLY LEARN SCIENCE? While children explore their surroundings, they have the opportunity to ask questions and play out scenarios in their wonderful imaginations. This is opening up neurological pathways for future scientific discovery. When parents drop their children off at a preschool class, they expect more than just structured play time and a healthy snack. They want their young children to be prepared for the rigors of the educational career that lies ahead. Within the peace and the beauty of a Waldorf early childhood education classroom is a deep academic undercurrent. Patzlaff says, “The connections and associations that the child experiences through play, through experiments with the play materials . . . this builds the foundation for the exacting, mathematical and scientific thinking and understanding in later life”. With the gentle leadership of each early childhood teacher these dear children are prepared for and guided by a love of learning, even at an early age.